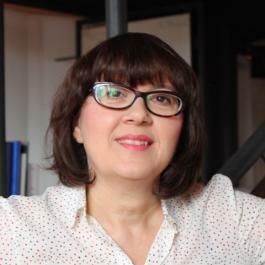 Simona Marchesini, after a degree in Classics (Archaeology) at the University of Pisa (1988) and a PhD in Comparative Linguistics at the University of Tübingen, Germany (1996) with a Dissertation on Etruscan Onomastics, worked as post research scientist at the Department of Vergleichende Sprachwissenschaft of Tübingen (DFG-Project on the Messapic language). In 1999 worked as research scientist at the Scuola Normale Superiore - Pisa, studying the pre-roman languages of Sicily and in 2003 at the University of Verona, studying the Venetic name system and epigraphy. She was assistant professor at the University of Tübingen (1996-1998), teaching “Introduction to Onomastic Sciences”, “Introductions to Archaic Latin”, “Introduction to Relict Languages”, “Magic and Language” and at the University of Verona (2003-2011), teaching “Pre-Roman Languages of Ancient Italy”, “Phonetics and Phonology”, “Comparative History of Classic Languages”, both to graduate and postgraduate students. In 2009 founded at Verona a research Institution – in 2012 officially accredited by the Italian Ministery of Scientific Research and University –, devoted to a multidisciplinary study of interactions among peoples in time and space. As scientific responsible of Alteritas she coordinates many research projects and edits books and miscellanea on this topic as well. She is actually member of Indogermanische Gesellschaft and of the European Archaeological Association. S. Marchesini, C. de Simone (2002), Corpus Inscriptionum Messapicarum, Wiesbaden. S. Marchesini (2007), Prosopographia Etrusca. Gentium Mobilitas, Roma. S. Marchesini (2009), Le lingue frammentarie dell’Italia antica, Milano. S. Marchesini (2013), La lamina di Demlfeld, Roma. S. Marchesini (2015), Monumenta Linguae Raeticae, Roma. S. Marchesini (2014), “Über die rätische Inschrift aus Pfatten/Vsdena”, in: Tiroler Landesmusem Ferdinandeum, Innsbruck, Wissenschaftliches Jahrbuch der Tiroler Landesmuseum, 202-217.